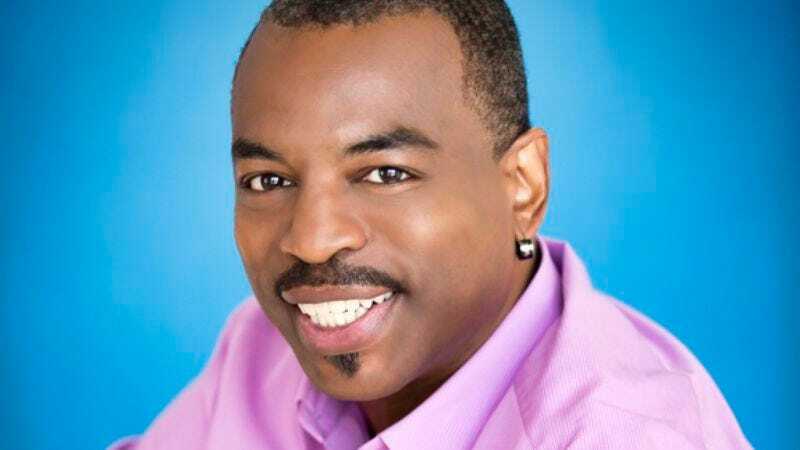 The actor: To parents, LeVar Burton is known from his lead roles in Star Trek: The Next Generation and Roots. To kids, he’s the friendly familiar face of Reading Rainbow. Now, nearly 30 years after Rainbow’s first broadcast and three years after PBS dropped the show, Burton has bought the Reading Rainbow brand and relaunched the show as an iPad app. The A.V. Club: Why did you relaunch Reading Rainbow as an app as opposed to another TV series or a webcast? LeVar Burton: When PBS took Reading Rainbow out of its fall lineup in 2009, my business partner [producer Mark Wolfe, Taken in Broad Daylight, Reach For Me] and I saw this as an opportunity to really move Reading Rainbow into the next generation of kids, because it was pretty clear that we had served a couple of generations of kids through the medium of television. And now it was time to turn our attention to a whole new generation of kids for whom the television screen is only one of the screens that will occupy their attention going forward. AVC: What went into translating it for a modern audience? LB: The biggest challenge was including the key elements of the show, which are books and video, into the app. We decided to do a hybrid version that I don’t think anybody else is really doing out there right now. We offer video just like the video field trips that Reading Rainbow the television series took kids on. We’re doing the same thing, only you watch the video as a part of the app experience, as part of the experience of discovering books, literature that you’re drawn to and reading. Instead of the video supporting a single book like it did in the TV series, it supports a category of books. The challenge was including as much of the crucial elements as we could, knowing we couldn’t keep everything in at the beginning, but we’re working on it. AVC: When Reading Rainbow was a TV show, there was a constant fight for funding. Will you have that same issue now that it’s in digital format? LB: Nope, because we’re a for-profit company now. Mark Wolfe and I secured the exclusive worldwide and perpetual rights to Reading Rainbow as a brand. This is now not a public concern, it’s a private company. There’s a big difference because we’re funded. AVC: With this app, is there any sense of the future imagined in Star Trek coming true? Your character actually carried around a thing very similar to an iPad. It seems a little bit like a case of life imitating art. LB: Life imitating art imitating life imitating art? [Laughs.] It does feel that way, in more ways than one. It’s wacky and it’s true. You couldn’t write that. You wouldn’t believe it if you saw the story or read the story, but it is. It’s very much like we’re living out some sort of future plan now. AVC: When you got involved with Reading Rainbow as a television show, did you have any idea that the show would become so iconic? LB: No, no, no. You can’t plan for legacy unless you begin with one, and I didn’t. [Laughs.] My background is working-class folk. My mom was a teacher and social worker. My father was a soldier and a photographer. And he’s retired now, but he’s a deacon in his church. All the women on my mom’s side of the family tend to be social workers or teachers, and the men on my father’s side of the family tend to be soldiers and ministers. LB: Rebop was a public-broadcasting series. It was a great series back in the ’70s, produced by WGBH in Boston. Every show had two 15-minute profiles, really well-done profiles, about kids and their lives. Like in one episode, you might have a kid who lives on a ranch in Montana, and we experience his day, or her day. Get up at 4 a.m., go feed the cows. We’ve got them going to school, afterschool chores, and then the next segment might be a kid from Italy who is a member of a family of trapeze artists, and we experience a day in his life with him. The idea was that by highlighting different kids doing their everyday lives from different parts of the world, we get to experience these differences in culture and the commonality of humanity. It was a great show. LB: Captain Planet. I did Kwame in Captain Planet. The role of educator is one that I take seriously: Education is really the family business for me, and so I’m aware that that’s a part of why it is I do what I do. So whenever possible, I really just try to do that thing. You know, that education thing. AVC: How does working on a show like Transformers or Captain Planet stack up to a project like Reading Rainbow, where you’re involved from the ground up? LB: That’s the beauty of my life and my career: A lot of the work I do is as a producer or a director or a [co-founder], and my voice is hired, or my acting ability, or my directing talent. It makes for an infinite variety of experience, which I like. AVC: Kunta Kinte is a character you felt so connected to, you had his name tattooed on your arm. LB: Yes. It’s an ambigram; an ambigram is a word that can be read upside down and right-side up. And sometimes the word you see in their different positions, upside down or right-side up, are not always the same word. So in the case of my tattoo, the word I have, when you read it one way is LeVar, L-E-V-A-R, my first name. And if you read it the other way, it says Kunta, K-U-N-T-A. So it’s not just Kunta that’s there; it’s LeVar. The role of Kunta Kinte, it was my first role, it was my first audition, it put me on the international stage. So my journey toward adulthood and mentorship has definitely been one where finding the balance, the right relationship with that other identity, Kunta, has been really critical. AVC: Why do you have such a connection to this particular character? LB: I’m certain it has to do with the fact that it was possible for me to access, let’s call it “genetic memory,” in the portrayal of that character. I knew exactly what this kid was feeling every moment. I mean LeVar did. There were even times when LeVar and Kunta fused together, and it certainly did in the minds of a lot of people, definitely at the beginning of my career. So making peace with Kunta and really coming to understand the cultural significance of the character on a much more macro level has been an important part of my journey, because in the beginning of my career, he was such an overshadowing, towering figure. My fear was that LeVar would get lost, and the only thing that would remain would be Kunta; the only thing people would relate to was me as Kunta. As an actor, that’s the kiss of death, to not be able to shake from people’s minds their idea of who the actor is, so they can really focus on the character, right? I played that struggle out for a while at the beginning of my career. But that’s also been a hallmark of the 35 years I’ve been in this business, which is continuing to expand people’s idea of who they think LeVar is. AVC: You’ve stated that you felt like your ancestors were protecting you during the filming of Roots. Have you felt that in any other theatrical context? LB: No, I have not. I’m sure it’s true, but I haven’t felt it to that degree, where they kept me out of harm’s way. AVC: What was that feeling like? LB: Very difficult to explain, as you might imagine. AVC: This project won a Grammy for Best Spoken Word Album in 1999. How did the project come about? LB: That was work for hire. That was somebody who wanted my voice to read the book. I was flattered. I grew up during the civil-rights movement. Martin Luther King Jr., for my children, he’s history. For me, he’s a living energy of change. I was alive when Martin Luther King was alive doing his work, and I’ve had the opportunity to live in a world he helped shape here in America. So he’s much more immediate to me than he is to subsequent generations, perhaps. To be able to speak his works, his words. People forget… I mean, he was such a brilliant orator, it’s easy to overlook what an amazing writer he was. He wrote all of those speeches, all of those letters came from King’s hand. His charisma and magnetism as a minister, as a priest, overshadowed the brilliance of his prose when it is read or spoken aloud. Quite stunning. AVC: How did you prepare for that role? LB: That’s not a role you prepare for. There’s no preparation. You don’t have time to prepare for the reading of an audiobook. You do the reading of an audiobook in basically two days’ time—an unabridged version, maybe three days. AVC: You’ve played Martin Luther King Jr. several times, most notably in Michael Mann’s 2001 film Ali. Why do you think this role keeps coming up for you? Do you look for Martin Luther King parts? That may be a ridiculous question. LB: [Laughs.] It’s not a ridiculous question, but it does speak to the misconception that I am choosing [my roles]. That is so rarely the case for a guy like me. Jim Carrey can do anything he wants, right? There are guys like that. I’m not one of those guys, so my career has been cobbled together with what the universe has put in front of me. LB: Isn’t that a part of the education work? It’s all a part of the mission. LB: I loved being Geordi. AVC: Even with the visor being hard to see through? LB: Yes, the visor was really hard to see through, but guess what? It made me a better actor. Trying to communicate with people without them being able to see your eyes is not easy, I learned. AVC: What was the toughest part of that role? LB: The toughest part of the role was being more of a role-player. Star Trek was the first television series I’d done. Up until then, I’d starred in Roots, I’d starred in TV movies. I’d never been part of an ensemble before. The most difficult part for me was adjusting to being an ensemble member, and that means that not every story is going to be about you. You may get one, maybe two a season. You may not always like what the writers write and ask you to do, but it’s all a part of being part of an ensemble. AVC: You were disappointed that the writers didn’t expand on Geordi’s relationships. Were there other parts of that character you wish had been brought out more? LB: I’m sure that there are lots of aspects of Geordi’s character and personality that could have been explored. I’m grateful that there are aspects that were featured whenever Geordi was onscreen. His sense of purpose, his sense of vision, of getting it done. His sense of being really, really good at what he does and really proud, a real work ethic was on display with Geordi. He was a great team member. He was a great role-player. In the first season, Geordi was the navigator, the pilot of the ship, and Gene [Roddenberry], when he was still alive, he’d always say, “Well the ship is so sophisticated, it can fly itself,” so being the blind guy who flies the ship was really sort of a one-note joke or bit of humor. It wasn’t until Geordi was moved down into engineering that he found what he was really good at. AVC: What was the impetus for making the leap from acting in Star Trek to directing? LB: Opportunity. A desire to continue to learn and grow, simply put. AVC: What were your first few directing experiences like? LB: Invigorating. I really came alive during the process of prep and shooting. I really discovered how much I love directing and storytelling from that particular position, the creative filmmaking process. I came alive. I discovered talent I didn’t know I have. LB: That was very exciting. I’ll never forget, I was in Las Vegas, taking my first tour of Star Trek: The Experience, which used to be in the Hilton there. It was right before The Experience opened, and I was there on a site visit for the first time when I got the call that Showtime wanted me to direct The Tiger Woods Story. I was thrilled, a huge fan of Tiger Woods. I was itching to branch out from episodic TV into a longer form of storytelling, the movie of the week. It was just all grits and gravy, as we say in my family. AVC: The movie was filmed pre-scandal, and it very much portrays Tiger Woods as a role model. If you were to remake the film now, would you still take that slant on Tiger Woods as a person? LB: That’s a really good question. When I did the movie of the week, I did not have an opportunity to meet Tiger or his family. So my approach was, I just used the materials I was given to tell a story. I tried to imbue that story with some of the values I grew up with, and that I felt were incumbent with the way Tiger grew up. There were just things I could see in the way Earl and Tilda raised Tiger that were familiar to me, but I would never do that again. To answer your question, I wouldn’t remake The Tiger Woods Story today unless I had access to Tiger and the people in his life. AVC: Did Reach For Me turn out the way you expected it to? LB: Yes and no. We did a lovely story. I wanted it to be more widely seen. I had an expectation that it was a story that deserved a wider audience; however, those things are never within our control, and it’s out there. And now and again, people tell me that they’ve seen it, and they really enjoy it. That’s a beautiful thing. AVC: Between Star Trek, Reach For Me, Taken In Broad Daylight, even Looking For Mr. Goodbar, you’re always this really nice guy. Do you ever want to play a total villain? LB: I think I’m really trying to share the light, spread the light. Everybody’s got a shadow-self. Maybe the right character hasn’t come along yet, but when I think about it, I think I play the characters I do, or the universe brings me the characters I play because they are somehow right for me, and I’m good with that.